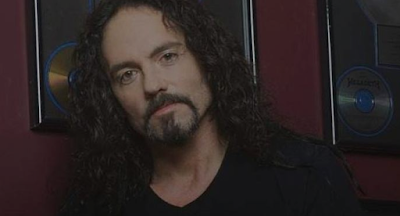 MetalRockNews: Former Megadeth guitarist Chris Poland about Nick Menza's death: "I'm devastated"
Former Megadeth guitarist Chris Poland about Nick Menza's death: "I'm devastated"
Former Megadeth guitarist Chris Poland has commented on the passing of his OHM bandmate Nick Menza. He said: "There are no words... just to describe what a great guy he was, let alone his creative ability and amazing talent. Not enough words to describe. Just devastated right now." He continued: "My wife showed me a photo he just Photoshopped from when he was up north, where he looks like atlas holding up that ring. I mean, that's the kinda stuff he did just off the top of his head. I honestly think God ran out of ideas and had to have Nick, like, help him out. Because... why else? When I was recently in the hospital, he was on the phone with my wife the whole time, just begging her to make her dinner, asking, 'Can I go get you guys anything? Do you want me to go shopping?' Who does that? You know, there's not enough words to describe."